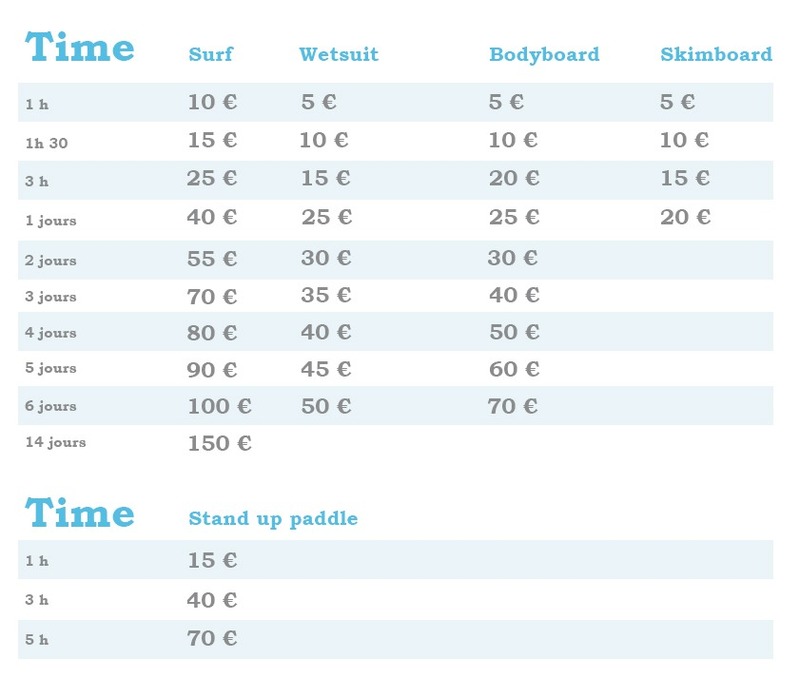 Find below the rates for the surf courses. For group rates, please contact us. Course timetable 3 hours before and after high tide (tide times). Schedules to be determined 2 days before the lesson depending on the weather. 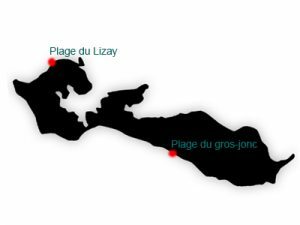 You can find your surf school Ré Surf on two learning sites : At Gros jonc’s beach in Le Bois Plage en Ré and at Lizay’s beach which is located at Les Portes en Ré. From Monday to Saturday, during the school holidays of Easter, Halloween as well as summer. The schedules of the courses are fixed according to the tides. The courses are generally 3 hours before and after the high tide (find here the tides). The courses are for those who want to learn or improve on surfing techniques or related disciplines (bodyboard, bodysurf and longboard) on a regular basis. In individual courses, the objectives are set according to the level of the trainee. All these objectives will be adapted according to the motivation, the physical condition and the level of the trainee. In the absence of waves, theory courses or substitute activities are planned. All courses are taught by instructors holding the Surf Brevet.